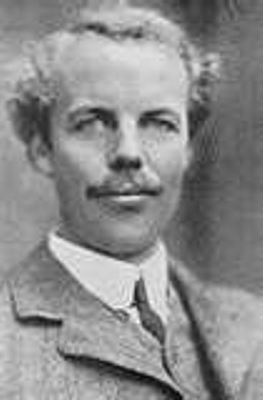 Arthur C. Pigou, a British economist, is best known for his work in welfare economics. In his book The Economics of Welfare Pigou developed alfred marshall’s concept of externalities, costs imposed or benefits conferred on others that are not taken into account by the person taking the action. He argued that the existence of externalities is sufficient justification for government intervention. If someone is creating a negative externality, such as pollution, for instance, he is engaging in too much of the activity that generated the externality. Pigou advocated a tax on such activities to discourage them. Someone creating a positive externality—say, by educating himself and making himself more interesting or useful to other people—might not invest enough in education because he would not perceive the value to himself as being as great as the value to society. Pigou advocated subsidies for activities that created such positive externalities. These are now called Pigovian taxes and subsidies, respectively. Pigou’s analysis was accepted until 1960, when ronald coase showed that taxes and subsidies are not necessary if the people affected by the externality and the people creating it can easily get together and bargain. Adding to the skepticism about Pigou’s conclusions is the new view, introduced by public choice economists, that governments fail just as markets do. Nevertheless, most economists still advocate Pigovian taxes as a much more efficient way of dealing with pollution than government-imposed standards. Pigou studied economics at Cambridge and lectured at Cambridge until World War II. In 1908, at the age of thirty, he was appointed to Marshall’s chair in economics. Pigou taught straight Marshallian economics, often insisting to his students that “it’s all in Marshall.”1 Pigou was throughout his life an avid free trader. 1912. Wealth and Welfare. London: Macmillan. 1914. Unemployment. New York: Holt. 1921. The Political Economy of War. New York: Macmillan. 1933. The Theory of Unemployment. London: Macmillan. 1950. Keynes’s General Theory: A Retrospective View. London: Macmillan. See Alfred Marshall, Principles of Economics (reprint, Amherst, N.Y.: Prometheus Books, 1997).